On February 28, 2016, we had our week 8 of 16 weeks full marathon training group runs. We had only 7 runners participated our 10-miler. Sunny and cool weather, gravel and pave trail paths, and out-and-back loops. Come join us and it is never too late to make a better you! Thank you to Noosa – Finest Yoghurt (Jean W.), smartypantsvitamins.com (Andrew K.), and brazenracing.com (Jasmin & Sam) for their supports! Happy running! On February 27, 2016, we had an opportunity to pace the Brazenracing.com event at Richmond Marina Bay, CA. It was a cool running weather and was a fast and flat paved course. Our pacers paced 1:40 to 2:30 (H:MM) finish times. Thank you Jasmin, Sam and Brazenracing.com for this inaugural pacing opportunity to support your organization and gave back to the running community. Happy running everyone! On February 27, 2016, we ran our week 9 of 12 weeks half marathon training group run. Weather was sunny and 21 of our runners came out and got their 10-miler done. Our awesome runners continued follow our training plan and made Saturday group run a priority in their life. We had one water station. Although we have 3 weeks left before the race, It is never too late to make a better you! Thank you to Noosa – Finest Yoghurt (Jean W.), Runliv.com (Kristel A. ), smartypantsvitamins.com (Andrew K.), Nature’s Bakery Fig Bars (Carli S.) Robert Lee, our group runner, donated Cliff Bars, and Kiyoko’s recycle foil wrapper for their supports! Happy running! 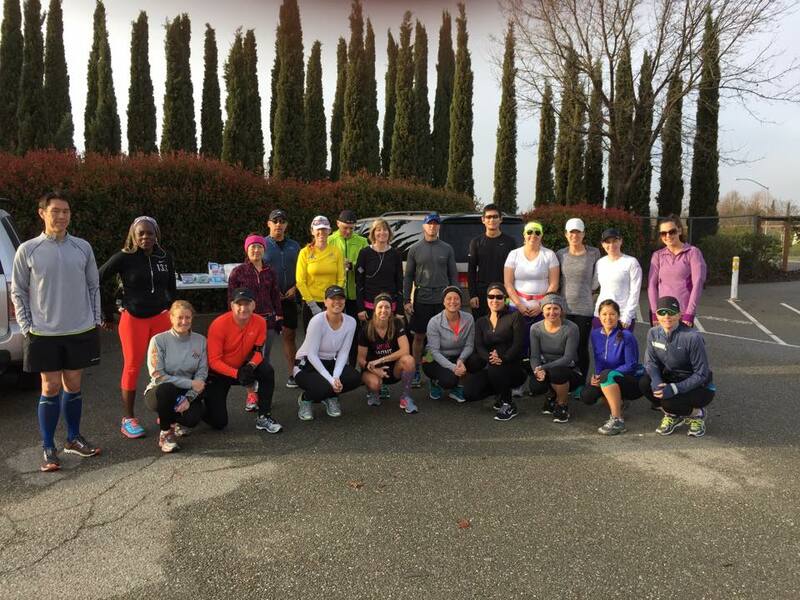 On February 21, 2016, we had our week 7 of 16 weeks full marathon training group runs. We had many runners participated Local and out of town races, thus, we had only 4 runners participated for the 10-miler. Sunny and cool weather, gravel and pave trail paths, and out-and-back loops. Come join us and it is never too late to make a better you! Thank you to Noosa – Finest Yoghurt (Jean W.), smartypantsvitamins.com (Andrew K.), and brazenracing.com (Jasmin & Sam) for their supports! Happy running! On February 20, 2016, we had an opportunity to pace the Doubleracing.com evebt in San Jose, CA. It was a perfect running weather… Cloudy and cool and was a fast and flat paved course. Our pacers paced 1:10 to 2:00 (H:MM) finish times. Thank you Bob Anderson and Doubleracing.com for this annual pacing opportunity to support your organization and gave back to the running community. Happy running everyone! 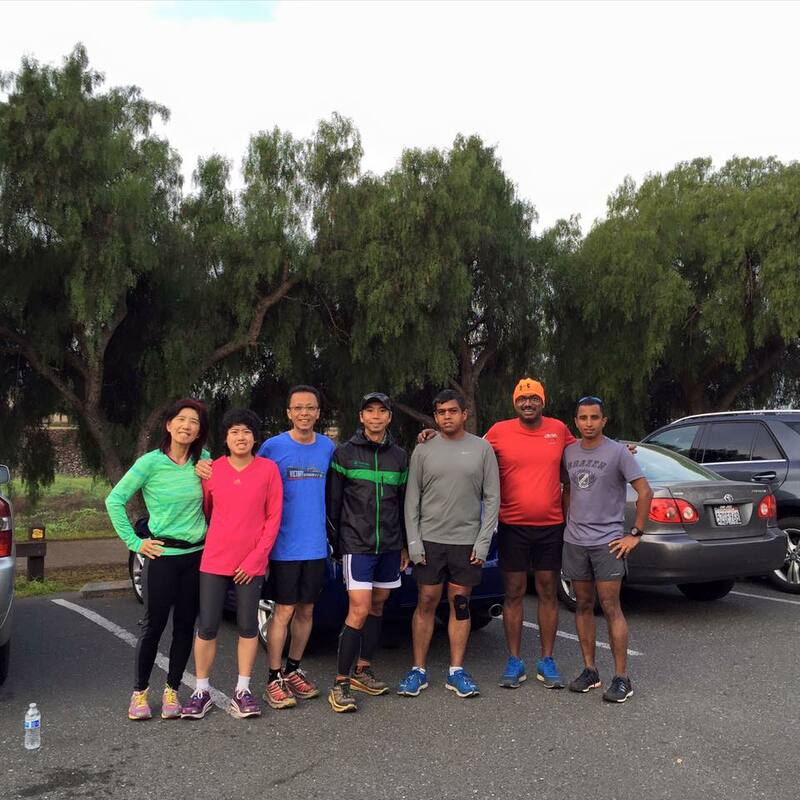 On February 20, 2016, we ran our week 8 of 12 weeks half marathon training group run. Weather was overcast and 23 of our runners came out and got their 9-miler done. Our awesome runners continued follow our training plan and made Saturday group run a priority in their life. We had one water station. Although we have 5 weeks left before the race, It is never too late to make a better you! Thank you to Noosa – Finest Yoghurt (Jean W.), Runliv.com (Kristel A. ), smartypantsvitamins.com (Andrew K.), Nature’s Bakery Fig Bars (Carli S.) Robert Lee, our group runner, donated Cliff Bars, and Kiyoko’s recycle foil wrapper for their supports! Happy running! 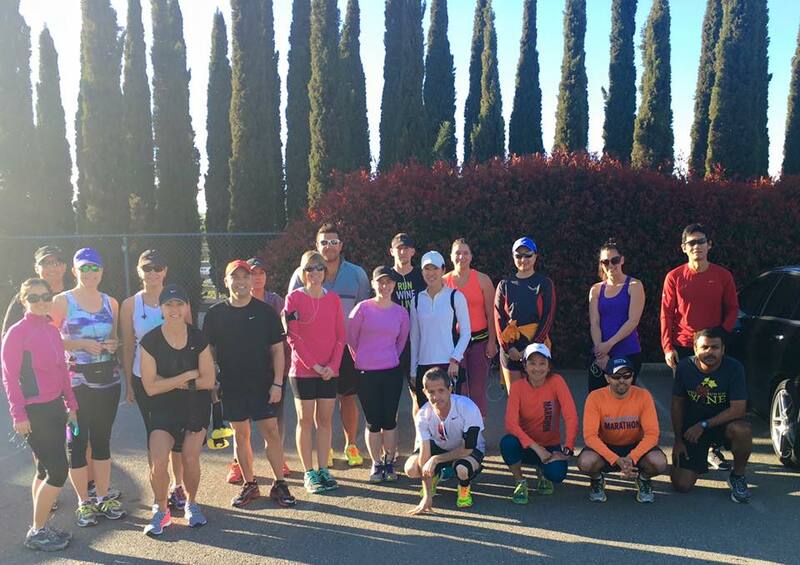 On February 14, 2016, we had our week 6 of 16 weeks full marathon training group runs. Happy valentine’s day! We had many runners participated Kaiser Permanente San Francisco Half Marathon, thus, we had only 7 runners participated for the 10-miler. Many of us did the Brazen half marathon yesterday so we decided to change to shorter distance from 14-miler to 10-miler. Sunny and cool weather, gravel and pave trail paths, and out-and-back loops. Come join us and it is never too late to make a better you! Thank you to Noosa – Finest Yoghurt (Jean W.), smartypantsvitamins.com (Andrew K.), and brazenracing.com (Jasmin & Sam) for their supports! Happy running! On February 13, 2016, we had an opportunity to pace the Brazen Bay Breeze Half Marathon in San Leandro Marina, CA. It was a perfect running weather… Cloudy and cool with mist in the air. This was a fast and flat course with gravel and paved trail paths. Our pacers paced 1:35 to 2:30 (H:MM) finish times. Thank you Jasmin and Sam for this annual Brazen pacing opportunity to support your organization and gave back to the running community. Lastly, thank you Primalwear.com for helping us to design and create our AWESOME team shirts! Happy running everyone! 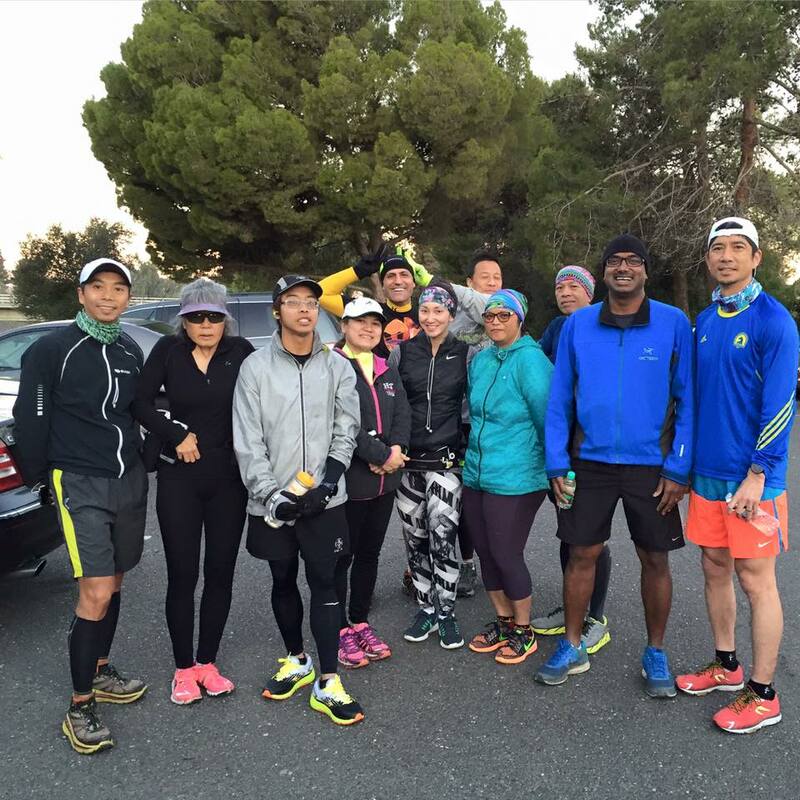 On February 13, 2016, we ran our week 7 of 12 weeks half marathon training group run. Happy valentine’s weekend everyone! Sunny and great running weather. 24 of our runners came out and got their 8-miler done. So glad to see many of our runners continued follow our training plan and made Saturday group run a priority in their life. We had one water station and first time runners continued to join our group run. So, it is never too late to make a better you! Thank you to Noosa – Finest Yoghurt (Jean W.), Runliv.com (Kristel A. ), smartypantsvitamins.com (Andrew K.), Nature’s Bakery Fig Bars (Carli S.) Robert Lee, our group runner, donated Cliff Bars, and Kiyoko’s recycle foil wrapper for their supports! Happy running! 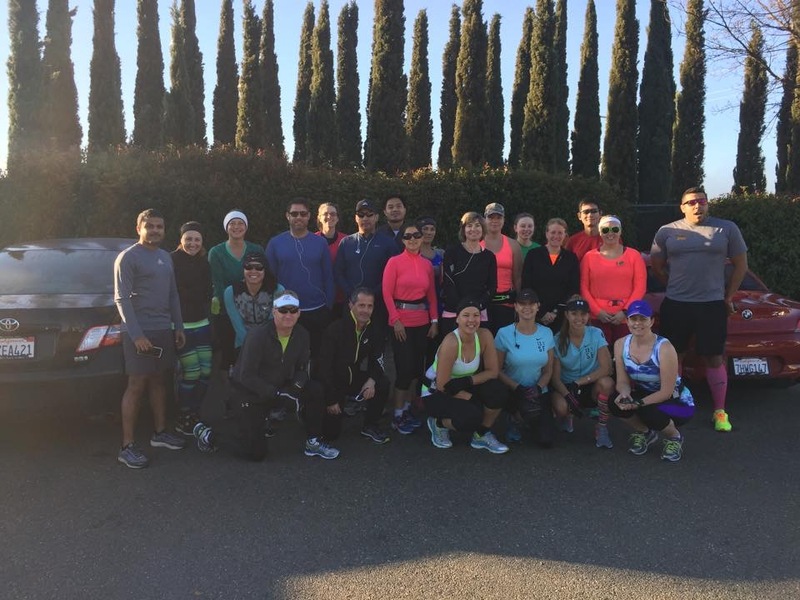 On February 7, 2016, we had our week 5 of 16 weeks full marathon training group runs. 12 runners participated for our 10-miler. Sunny and cool weather, gravel and pave trail paths, and out-and-back loops. Come join us and it is never too late to make a better you! Thank you to Noosa – Finest Yoghurt (Jean W.), smartypantsvitamins.com (Andrew K.), and brazenracing.com (Jasmin & Sam) for their supports! Happy running!